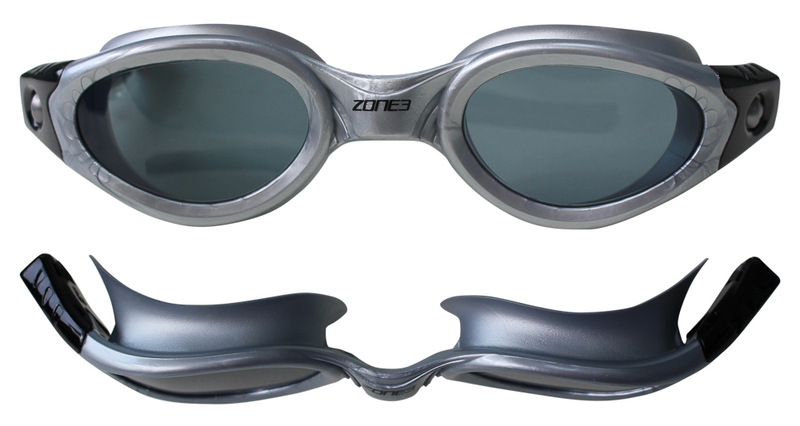 The key elements which make the goggles so popular are the soft one-piece silicone eye sockets and the extremely comfortable shape which ensure a great fit, especially on smaller faces. 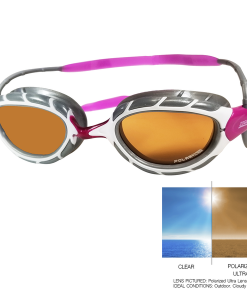 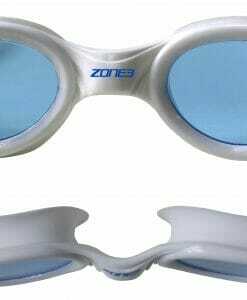 The Italian made tinted lenses ensure fantastic vision in both the pool and in open water. 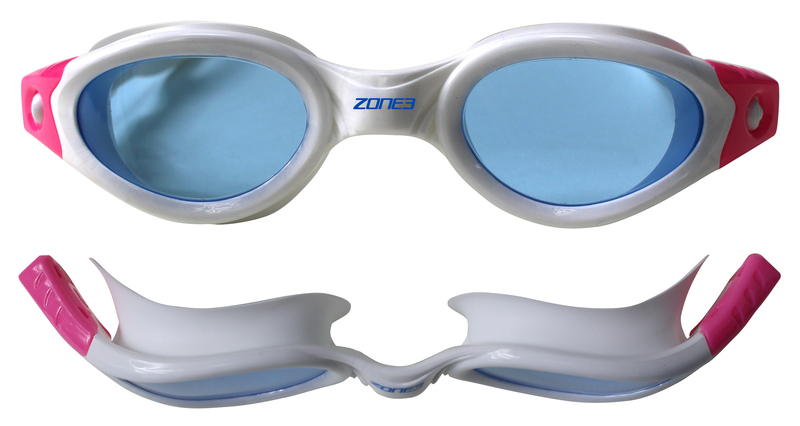 The Blue lenses featured on the White goggles help to brighten up any swimming in lower light conditions and the Smoked lenses on the Silver goggles help protect the eyes in brighter conditions and conceal the eyes during group training. 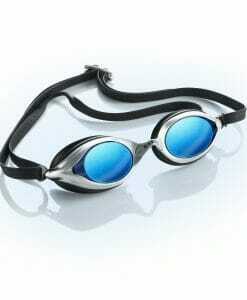 The goggles are extremely flexible which significantly helps to minimise the chance of a serious injury if accidently knocked during a swim. 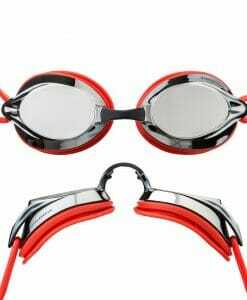 They are also easy to adjust and feature a twin-piece head strap for a more supportive fit. 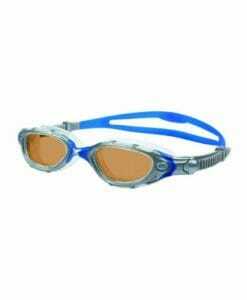 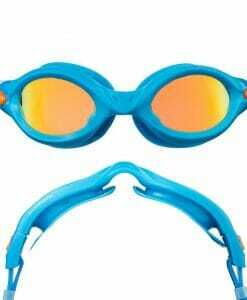 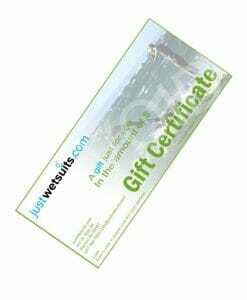 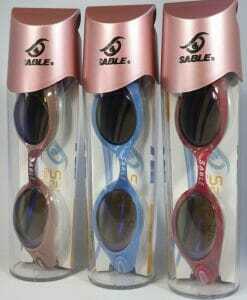 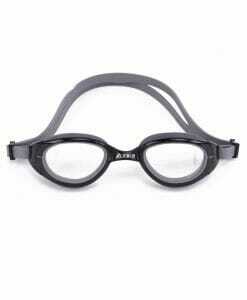 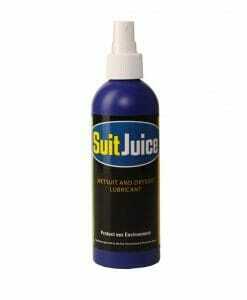 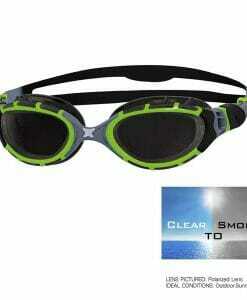 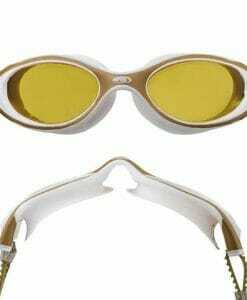 In addition, they have an anti fog coating for longer fog-free swimming and offer 100% UVA/UVB protection.